This is the Poplar Ridge School building, located on Hoover Hill Road in Trinity. 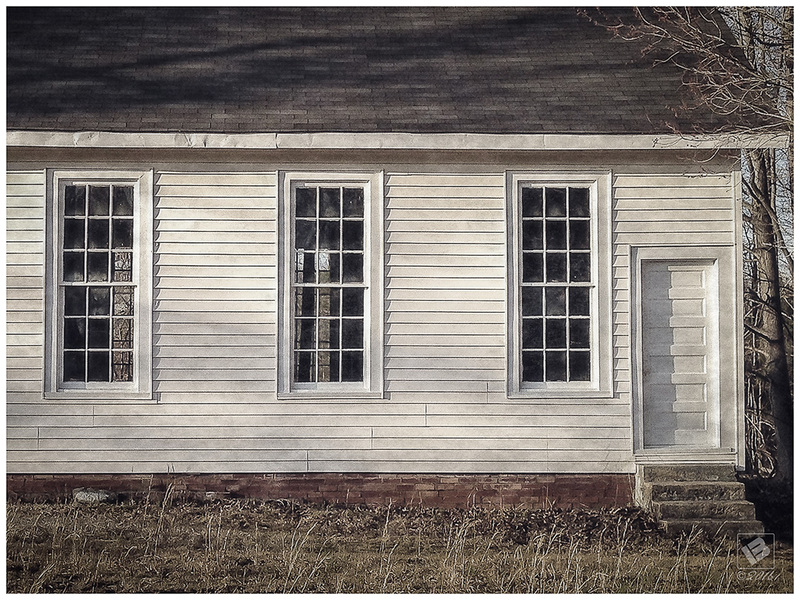 The two-room school had no electricity or indoor plumbing. It was built in 1879 and closed in 1952. My dad actually attended school there the last year it was in operation. My grandmother (Mrs. Cletus Sumner Bennett) and her brothers and sisters also attended there. I’m not sure on the exact dates, but she taught at the school in the 1930’s and possibly some of the 1940’s. She later went on to teach in the Trinity school system till the 1970’s. 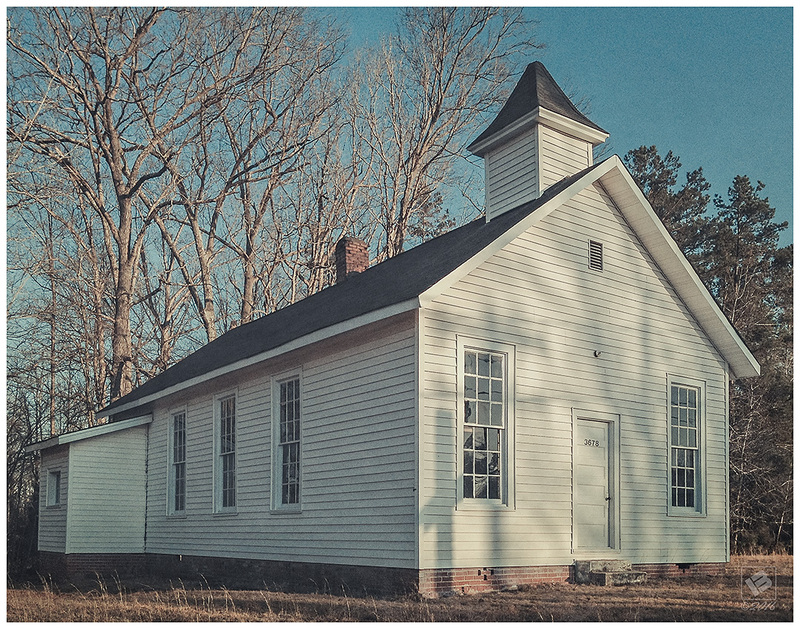 The former Poplar Ridge Friend’s Church building used to stand just to the right of the school. It was taken down by George Sumner (one of my relatives) and relocated somewhere further down Hoover Hill Road toward Mt. Pleasant Church back in the 1980’s. There used to be a “Poplar Ridge Reunion” held every year around the first of September. When I was a kid, the reunion used to be an all day Saturday event. The alumni men would start cooking the pigs on Friday night in the gravel lot between the school and the old church. They served some of the best barbecue all day Saturday in the church fellowship hall across the road. 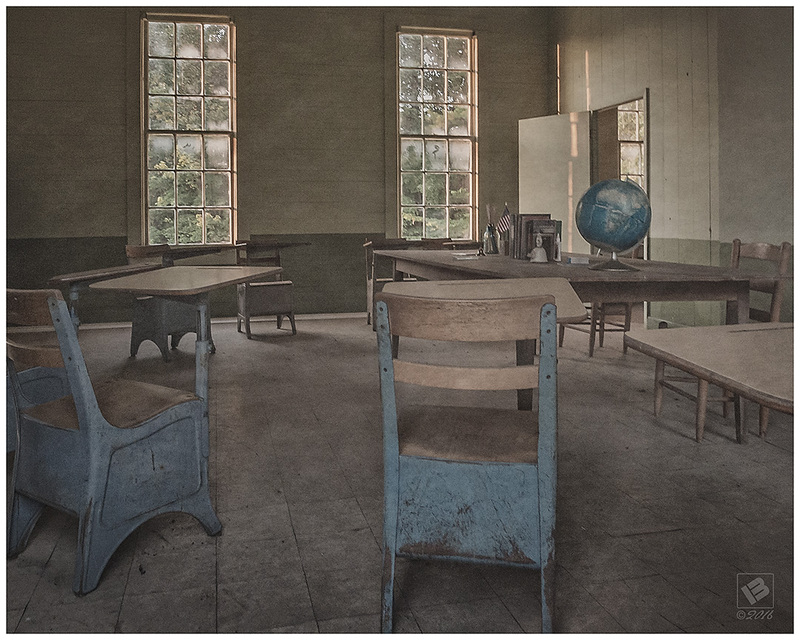 The Evergreen Academy was another school in Randolph County which operated from the 1860’s to 1920’s. Here’s a link to photos and short blog post about that. This entry was posted in Historical Landmarks, NC, Randolph County and tagged Historical Landmarks, Linkedin, Randolph County by Matt Bennett. Bookmark the permalink. Enjoyed reading your info on the school. In response to your comment if the reunions are being held, they indeed are. Tonight around 30-35 people gathered for a delicious meal prepared by the attendees. A beautiful grace/prayer was given by the Rev. Charles Walker (whom I believe is the oldest former living student and also my uncle). There were four former students recognized as being deceased. Officers for the upcoming year were elected. So the “reunion” is still active and I encourage former students of Poplar Ridge to join us at next year’s reunion which will be Saturday, September 9th, 2017. It was determined tonight that I was the youngest of the four girls that was in the first grade and second grade together which was in 1952. However, I did not complete all of the second grade but left in January 1952. Whew! That was a long time ago! It was interesting to hear some of the stories of our childhood at Poplar Ridge.